Essential to all different work environments, our Size C Alkaline Battery packs have been designed specifically for high energy consuming devices. Offering long lasting, high power use in every single battery, they have a higher output capacity than the equivalent Duracell option and can be used in a wide variety of electronic items such as our Gojo Touch-Free dispenser. Supplied in a blister pack to protect each battery during transportation, they are also suitable for the demands of digital equipment. 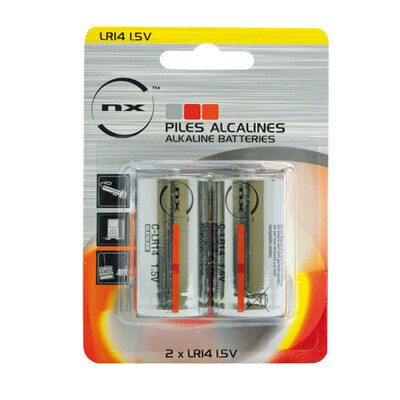 Here at Gompels, we also stock AA, AAA, 9 volt, Size C and Size D batteries for a range of devices.